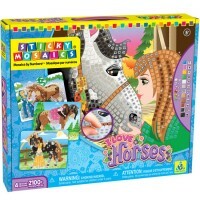 Create 3 extra large sparkling horse figure mosaic designs with this new Orb Factory Sticky Mosaics Wild Horses craft! 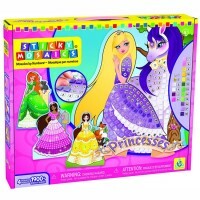 This horse theme mosaic craft lets girls decorate fabulous frolicking pals! The Sticky Mosaics Wild Horses Girls Craft Kit is a larger and even prettier edition of Orb Factory's girls favorite horse theme mosaic set! 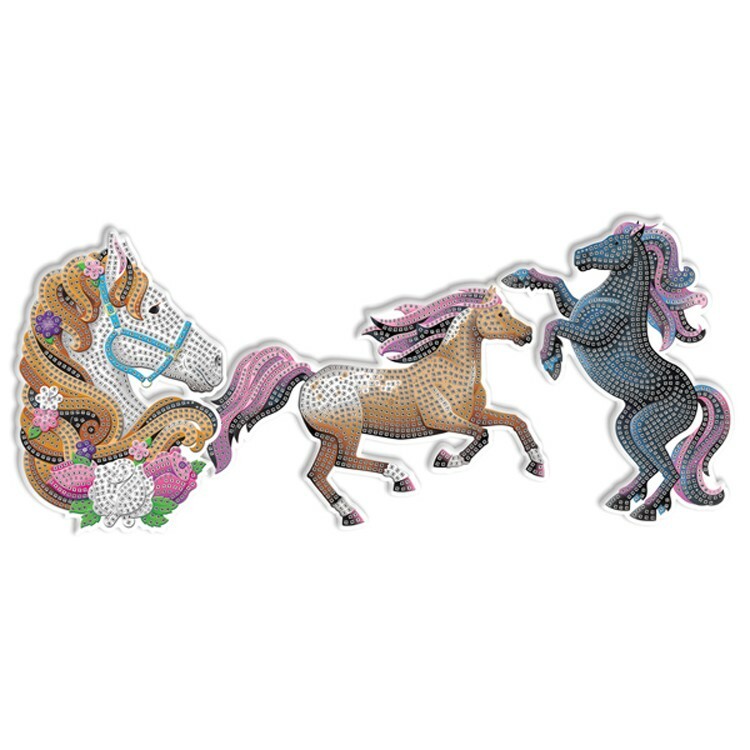 This horse sticky mosaics brings 3 extra large sparkling horse shaped designs to decorate with the enclosed 3000+ shimmering jewels and horse colors mosaic tiles. 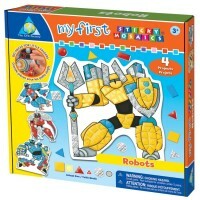 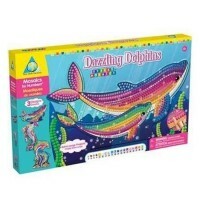 Simply match the numbered boxes on the large horse shaped templates with the right color mosaic pieces to finish the horse figure design. 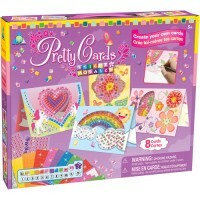 The Sticky Mosaics Wild Horses Girls Craft Kit includes 3 hanging tags, so you can decorate your room with the finished horse mosaic art. 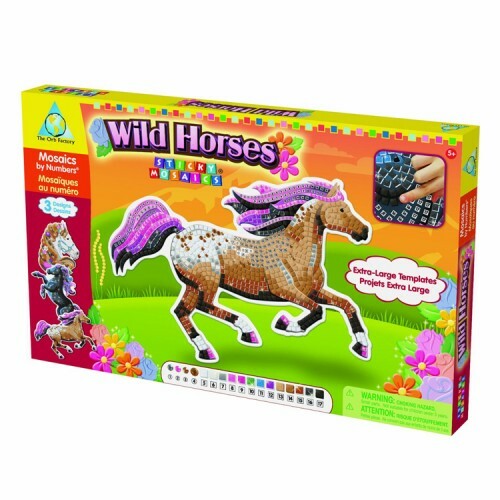 Go wild and go creative with this wild horses decorating craft kit that will make any horse fan happy! 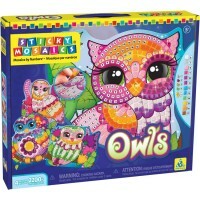 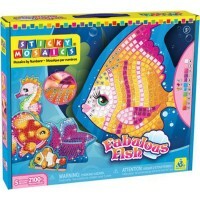 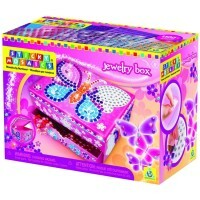 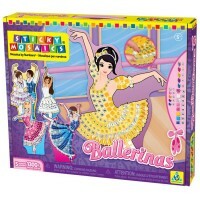 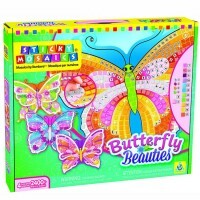 Dimensions of package 0.195" x 0.1225" x 0.0175"
Write your own review of Sticky Mosaics Wild Horses Girls Craft Kit.